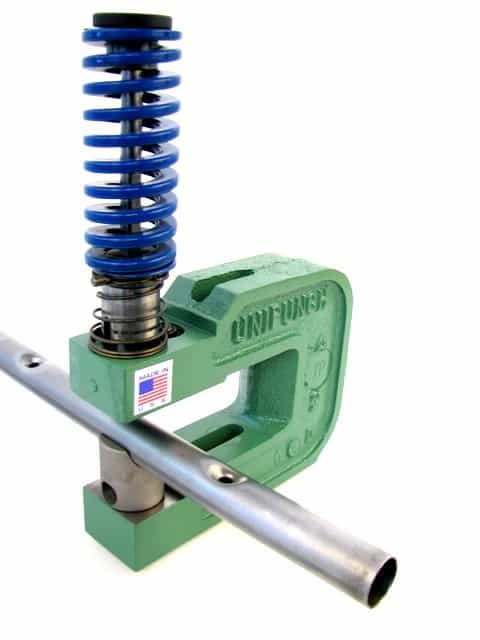 The TP-2 unit provides a straight through hole with a single punch in one hit of the press in round or shaped tubing. The tubing is supported on all sides during punching. The top hole has distortion, which varies depending upon punch size, tube O.D., wall thickness and material type. The bottom hole is punched into a die, providing a dimple free hole. (For custom mandrel style punching units for dimple free holes, see the TP-2M.) This self-contained C-frame unit utilizes pilot pins in the bottom of the holder for mounting on 1⁄2″ thick Templates with nothing attached to the press ram. 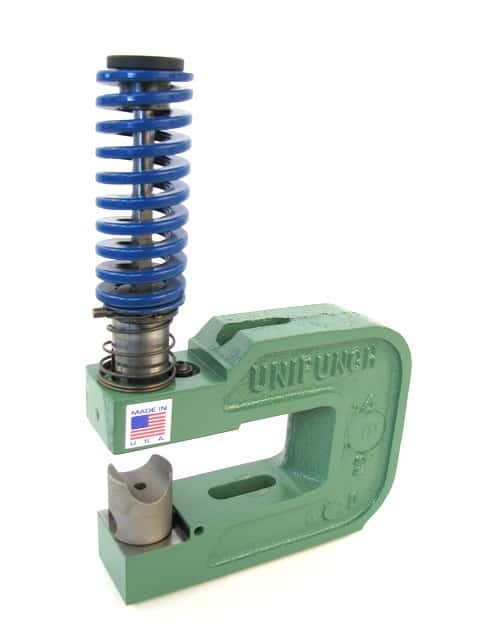 The TP-2 is designed for punching tube diameters from 9/16” O.D. (14.3mm) to 1” O.D. Round (25.4mm) or 7/8” O.D. (22.2mm) square tubing. Depending on your material thickness, punch diameters are available from .0937” (2.38mm) to .4375” (11.1mm). To order, specify the size of the tube, diameter of the hole, wall thickness and type of material. For punching large diameter tubing, see the TP-2 3/8 unit.